The Stealth Corporation and The Villages Golf Cart Man along with Sam’s Club offer Special Sam’s Signature LSV Car that's on display at The Villages Sam’s Club. Your membership will get you 10% off Parts & Service at The Villages Golf Cart Man. Sept. 14, 2010 - PRLog -- The Villages have so many golf carts everywhere you look and many Villagers take for granted the freedom to cruise their off-road vehicles on and off the streets in The Villages but as the area continues to grow a lot of people can’t benefit from the freedom and are basically blocked from enjoying this luxury with the laws not on their side. However, the Street Legal Golf Cart also known as a Low Speed Vehicle (LSV) and the Neighborhood Electric Vehicle (NEV) are the bridge to the areas blocked from reaching The Villages Downtown Districts, shopping and more. LSV’s can be driven legally on any street 35mph of less and cross any highway at an intersection. What was once an area that was excluded from The Villages has become only a hop, skip and jump away in a golf cart that’s legal for the roads. Of course you will have to tag, register and insure the cart through the state in order to be permitted on the roads. But that’s a small price to pay for such a great opportunity. Tony Colangelo The owner of http://www.VillagesGolfCartMan.com has sold many of these units having the display cart in the local Sam’s Club. He says he has managed to have the general managers of several stores through out the state to allow him and The Stealth Corp. to set up shop and become part of the Sam’s Club Auto Buying program which can be accessed at http://www.Samsclubauto.com . All the way from panhandle to South Florida these LSV’s are available through this program. These cars also have a 10% Federal Tax Credit if you purchase a federally approved fully electric environmental friendly vehicle. Most of these vehicles can be driven on the cart paths and are golf course approved depending on the tires you choose. Andy Wray the Florida Stealth Distributor has demonstrated his product many times and has a proven track record of having one of the finest carts available on the market with unmatchable upgrades for the money. By far Stealth’s product exceeds a normal LSV or any golf cart standards that have been set. These carts come with 700 amp waterproof controller and a 16hp motor with 116lbs of pulling torque. If that doesn’t mean anything to you that’s about four (4) times more than any competitor or golf cart company. The chassis is Aluminum and has a 30 year warranty and will never rust. Andy explains that these components are what make the cart, other than the batteries. “You need to have the best and the most for your money.” The Signature Series cart designed for Sam’s comes with upgraded Suite Seats that contour to your back and a Custom Dash with locking glove boxes. Also for being a member you get an extra one (1) year warranty with your purchase and 10% to 15% off on service, parts and accessories. I have done some research myself and find the comments and details to be very accurate and can say that not every golf cart is created equal. The push for environment friendly vehicles is on the rise. You can see why Sam’s Club has taken measures towards an effort to educate and inform the public of the newest eco friendly products. 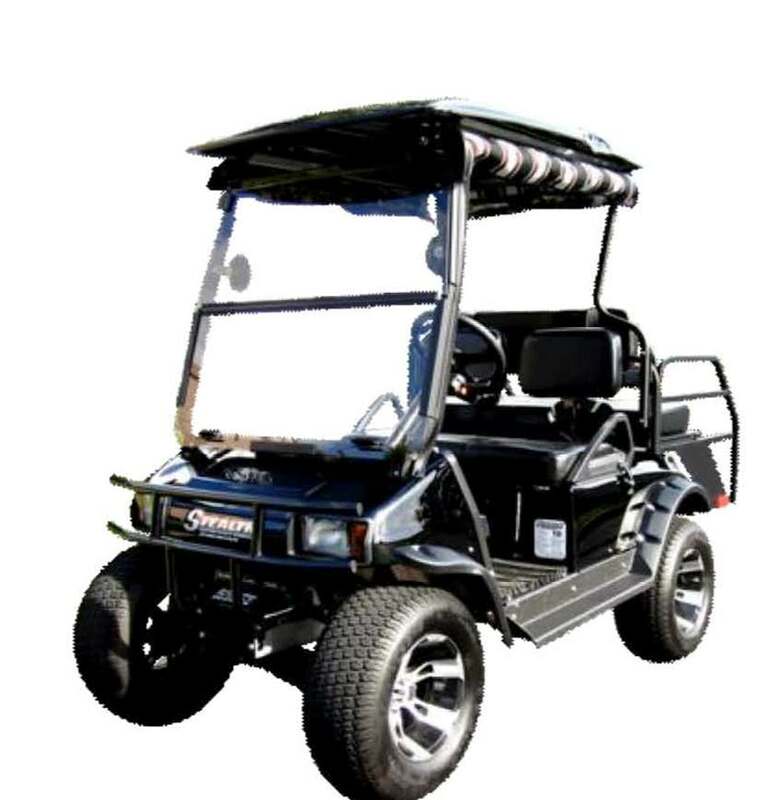 Visit their web site or contact Tony the Golf Cart Man http://www.VillagesGolfCartMan.com for a test drive or demo rental. They would be glad to answer any questions you might have. As I had many questions that were answered but was unable to elaborate on all of them with the amount of information Tony and Andy were able to relay to me. The Villages Golf Cart Man is located locally on the Historic Side of The Villages at 110 LaGrande Blvd in the LaPlaza Grande Professional Center by the Post Office and The Mexican restaurant. They will guide you in if you call toll free 1-866-770-4779. Reporting and updating current news in The Villages area. Eco friendly information that everyone should know but dont. All ways to try to save consumers money by educating them on what they should buy. The Villages Welcomes....Vinyl Art Designs. The Newest Addition to Our Business Community. Golf Carts Caught Speeding Face Fines Too! Police Take Action On Golf Carts With Too Much Power. The Villages Welcomes On Line Yard Sale Treasures.com The Newest Member of the Business Community.